I’m still on my mango kick after my trip to Florida a few weeks ago. 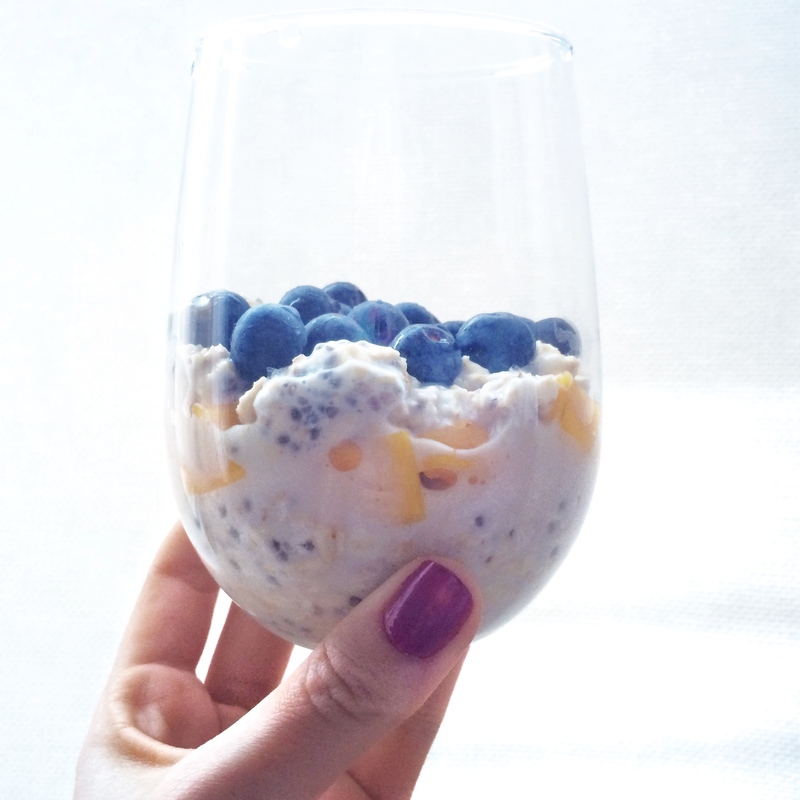 Why not incorporate some mango into overnight oats? Cue the ground ginger and you have an unusually good combination of flavors. The sweetness from juicy, ripe mangos means no added sweetener is needed. (Doesn’t mean you can’t add more, but you probably don’t need to.) Cue the ground ginger with fresh berries and you have an unusually good combination of flavors with this Mango Ginger Overnight Oats. In a mason jar or resealable container, mix oats, chia seeds and vanilla. Seal and shake to mix. Pour almond milk to the top of jar. Seal again and shake to mix. Store in the fridge for at least an hour or overnight. 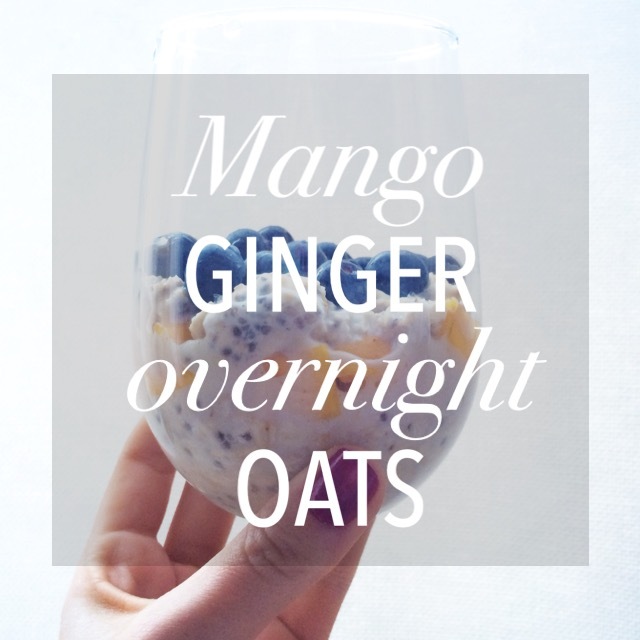 In a bowl, jar or glass, layer overnight oats, mango and blueberries. Add almond milk (if needed) and top with fresh berries. 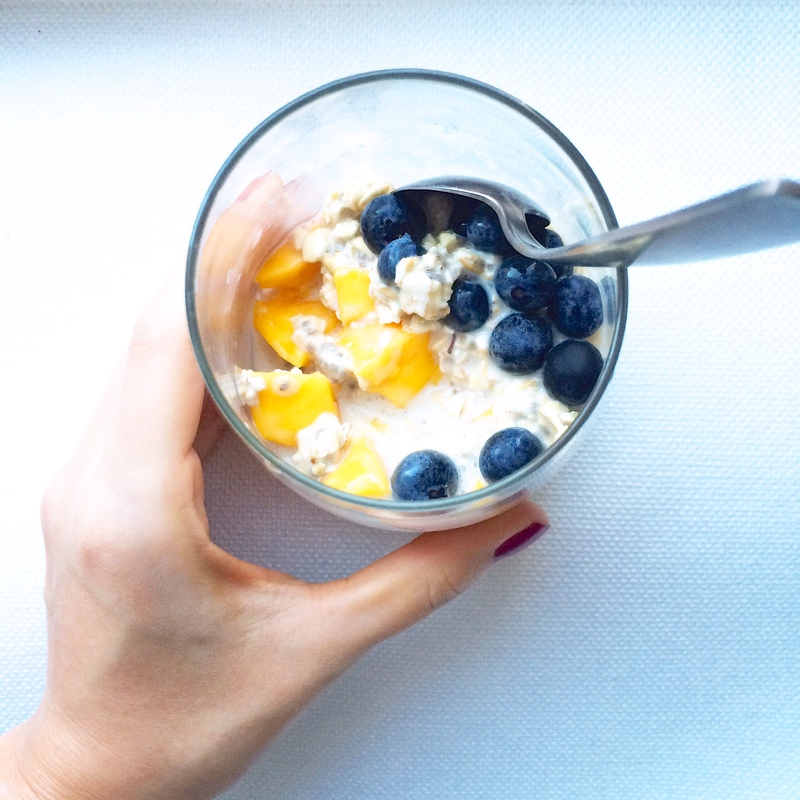 Pingback: Just Peachy Overnight Oats | Eat. Drink. Savor. Repeat.